Tim Hoctor was born in Dorset, Vermont, on August 28, 1864. He was the son of Michael Hoctor and Bridget Noonan Hoctor. As a young man he entered the monument business in Hoosick Falls New York, in partnership with his cousin Stephen P. Hoctor. The Hoosick Falls Monumental Works supplied monuments on a large scale to the entire vicinity and became widely known. Tim Hoctor was active in many organizations in Hoosick Falls and served as Chief of the Hoosick Falls Fire Department for several years and as Village Trustee. 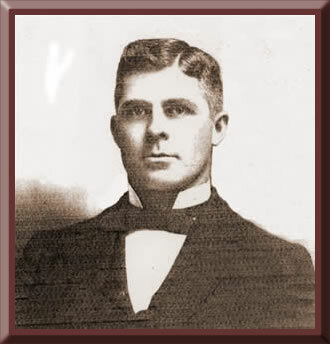 On April 30, 1900, he married Elisabeth Kearney. 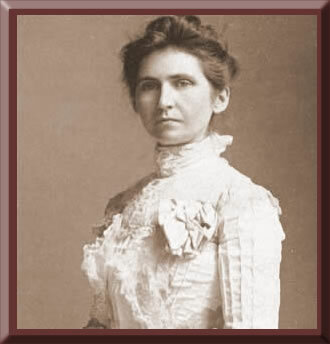 "Libby" Kearney was born in Osceola New York in 1865. Her parents were John and Delia Kearney. Tim Hoctor's grandson, Fred Hoctor, wrote this about him: "My grandfather was a stonecutter in Hoosick Falls, N.Y. I mean the kind of stonecutter that chiseled names and dates on cemetery headstones.. ..I can remember him with his white hair full of stone chips and those big arms setting the chisel at exactly the right angle, in exactly the right place, and whacking the hell out of a chunk of Vermont granite.. It seemed incredible to me, as a child, that each letter would appear evenly spaced, in perfect proportion, cut to exactly the right depth.. .that the stone should be forced to yield so unerringly."